The Ceilidh, Barn Dance, Square Dance, Country Dance, Knees Up, Hoedown, Social Dance, call it what you will. It's a fantastic way to celebrate almost any occasion. 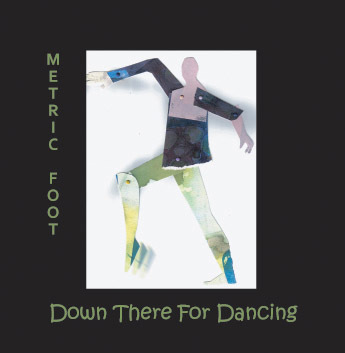 The Metric Foot Band never work from a pre-written set list. Instead the Band's caller Sarah, who has a remarkable skill for reading the audience's dancing ability, tailors the dances to suit. Although officially the caller, her role is much more of a dance instructor. She likes the hands-on approach and can usually be found amongst the audience demonstrating the figures and steps. Her repertiore of traditional and original dances is extensive and can include circles, squares, longways sets, couple dances and line dancing. As a caller Sarah likes to get amongst the audience to demonstrate the steps and figures. She firmly believes that learning the dances should be as much fun as doing them! Take a look at the video below for an idea of what we do. A selection of clips taken from a few of the Barn Dances (or Ceilidhs ) we've played at recently.